The tires are the most underappreciated vehicle components. 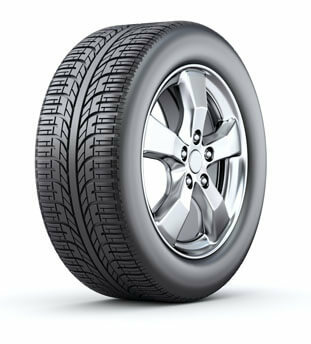 Many vehicle owners only pay attention to the tires when they’re forced to by tire repair needs or balding tread levels. These tires will prove unsafe in inclement weather and certain road conditions. SAF-T Auto Centers in Wallingford, CT is not just a name, it’s a service philosophy that always places the safety of you and your passengers above all else. This definitely includes your vehicle’s tire condition. Tires are constantly losing efficiency from wear-and-tear. Normal road travel keeps your tires in contact with the road, creating minor impacts that accumulate faster or slower depending on your driving habits. The terrain your vehicle drives on will also be a major factor. The benefit of SAF-T Auto Centers tire service experts is that we save customers from needing to purchase new tires with our quality tire repairs. Just because your vehicle experiences a flat tire, tire blowout, or puncture doesn’t mean we can’t fix it for you. Keep Riding On the Best! Your overall driving experiences will be enhanced by a new set of premium tires. However, it’s not always the best time for you to buy new tires, especially if you haven’t gotten your money’s worth out of the damaged ones. Our tire repair experts can salvage tires that have suffered from a variety of damages. Our tire service experts help you avoid costly tire repairs by providing maintenance services like tire pressure adjustments and tire rotations. SAF-T Auto Centers knows how to restore your tire’s puncture with a complete and effective patch service. Another way to prevent tire repair needs is to allow our team to provide a tire inspection service. This quick but thorough maintenance inspection will identify and potential problems. Before you take your vehicle out for a spin, take a few seconds to do a quick walk-around your vehicle. This gives you the opportunity to find any abnormal tread-wear patterns and remove any nearby debris or objects. The roadway can be a dangerous place for your vehicle’s tires. A new set of premium tires can make your vehicle look like it’s new, and a flat tire or tire puncture will make it look old and rundown. We all know that looks aren’t everything, but the safety of you and your passengers is. Keep your vehicle securely connected with the road, even after you’ve experienced a flat tire, blowout, damaged valve stem, or slow leak. Consistent visits to our tire repair shop will keep you traveling on the industry’s best premium tires. SAF-T Auto Centers wants to make sure its customers know where to come for any tire repair needs. Give us a call today at 203-599-4875 to schedule your next tire repair service appointment. You can save time by using our convenient online scheduling system right now. Next time you’re in the area–121 North Plains Industrial Rd–feel free to stop by with any questions or concerns about our tire repair services. We gladly accept all of our walk-in customers.